Lori and Baron’s intimate vineyard wedding at Maison la Belle Vie in Palisade, CO was, in a word, unforgettable. The emotion that was in the air, the thought that was put into each part of the wedding and the kindness that they poured out to me made this wedding something special. First, let’s set the stage. Palisade is a cute little town about 250 miles west of Denver. Everywhere you look there are farms and orchards with trees that are full of fruit. It’s best known for it’s peaches, but you’ll also find pears, nectarines, plums and honey. You’ll also see rows and rows of grapes, but those are mostly at vineyards. Yes, vineyards… as in wine. 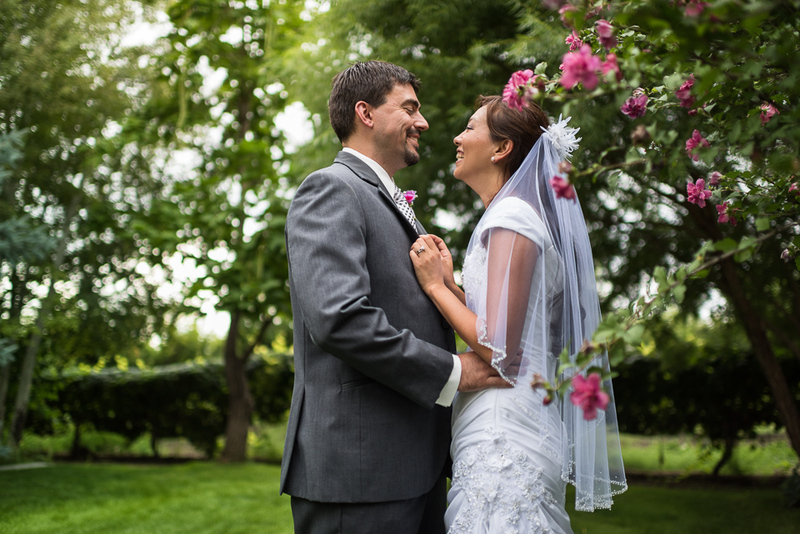 Lori and Baron’s entire wedding day was relaxed and enjoyable. The morning started out with pouring rain, but eventually it slowed and finally stopped. Grey, cloudy skies were replaced with blue skies and sunlight. Family and friends enjoyed an outdoor ceremony, lawn games and a party in the barn. And through it all, Lori and Baron didn’t ever get worried about the weather. I’m pretty sure as long as they got married that day, the weather could do whatever it wanted and it wouldn’t have bothered them a bit. Congratulations Lori and Baron! I’m so glad you chose me to photograph your wedding. It was perfect. Here’s their Denver engagement session if you missed it the first time around. Kaylene and Patrick Got Married! Kate and Jack Got Married!